Our standard spring cleanup, but not limited to, includes removal of all sticks, branches, and leaves from your entire lawn area. We furnish and install a mulch suited to your landscape. Our standard flower/mulch bed furnishing and installation includes, but not limited to, edging, remove excess mulch, and spread 2”-3” of fresh much to rejuvenate your existing flower bed. Your lawn grows differently than you neighbor’s lawn. We offer regular lawn mowing services. Our standard lawn maintenance includes, but not limited to, trimming around buildings, planting beds, side walks, and any fixtures. We remove all grass clippings from walkways, patios, decks, driveways and mulched areas using a professional blower. We also offer weeding on all flower beds every time we maintenance your lawn to keep you flower beds weed free. 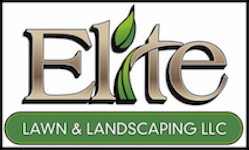 We professionally install a beautiful lawn for you. We ensure the correct seed for you climate and conditions. We install planting beds to your design, or you can let us design it for you, or we can seamlessly blend the two. Your planting bed, your rules. We also maintain existing planting beds, weeding, hand pruning and edging. Does your lawn or landscape need a little breather? We can assist by aerating your lawn so that water can reach the roots and spread it’s legs! Leave the leaves to us! We efficiently gather and remove leaves from your lawn and planting beds. Let us keep your annual flowers current to keep flowers blooming spring through fall. Let us develop your outdoor space into inviting escapes. We design and install patios, walkways, retaining walls, fire places, and water features. We can enhance the look of your residence through the use of brick, natural stone, concrete pavers, and other landscaping materials. We work with the location and nature’s intent to ensure our construction blends precisely like it should be there. We provide hedge trimming with professional trimmers and other appropriate tools. We will edge to keep your walk ways looking clean and smooth whether you request to have edging done weekly, monthly, or annually. We will gladly take care of your cleanup after a storm hits or in the event a tree falls down. Do you have poor drainage or just want to adjust a small slope? Let us regrade it to your preference. We offer commercial and residential snowplowing. We have professional equipment to effectively plow, snow blow, shovel, and ice-melt your parking lot, driveway, and walkways. Unlike others, we go above and beyond by using only calcium chloride versus salt on concrete services. From large and elaborate to small and private, we understand that each project is as unique as the individual. Regardless of the project scope, we always employ the "Elite Process." • Contact - You can call, email, or fill in the convienant Contact Elite tab with your name, contact information (phone, email, address) and a brief explanation of desired services. • Planning - We visit your locatoin to analyze the site and discuss your guidelines to create a design to your needs. At this point, you review the design and can make any wanted changes. • Design - We create the design according to your requests and send the design to you typically through email or any other delivery method that is convient for you. You again, review the design and make any wanted changes. • Final Design/Estimate - We present you with the your approved revised/final design in addition to a list of nessasary materials and an estimated cost for your project. • Installation - After you approve the final design and estimate, we will confirm a starting date, and sit back and enjoy the roses! A high quality landscaping can add amazing value; from 5 - 11% to its value. Your landscape needs to eat too! In fact, the most important, yet most overlooked maintainance, is feeding your landscape. A well fed landscape is healthier, which means it has a more sturdy root system to combat heat, cold, drought, mowing, foot traffic, and other stresses. Mulching annually not only keeps moisture in the soil during summer, but also helps protect your plants during winter.